Why Use A Sound Wall? Often, a legitimate sound wall is the most effective means of solving contentious or even litigious noise problems. Sound walls can be a very good solution to a major noise problem if designed and installed properly by companies that have experience and a successful track record in the sound wall construction industry. Highways and railways are well known for the unwanted noise pollution they create, and sound walls are the best solution to mitigate that unwanted noise. For many years, it was common to simply install a concrete sound wall in these areas. But now many state Departments of Transportation (DOT) are switching to absorptive sound walls because they perform better acoustically, and in many cases are more cost effective. 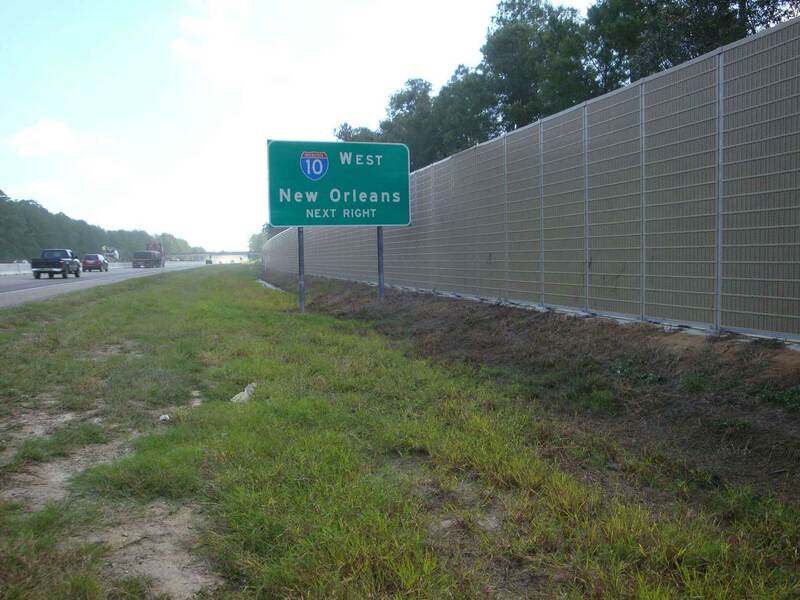 Research specific to DOT sound walls indicate that when all else is equal, it’s always best to use an absorptive noise barrier over a reflective one. When installing a box-like type enclosure around noisy equipment such as an HVAC system or a gas compressor reflective noise can become a huge issue. It is generally not recommended to use reflective barriers in these instances because of the reverberation of the sound waves and the potential increase in noise levels as a result. This is the reason that absorptive barriers are widely used in these areas for these types of sound walls. The primary benefits of a sound wall are the acoustical qualities and traits which directly relate to the effectiveness of the wall once it is installed and completed. With absorptive (high NRC) sound walls, there is very little or no noise reflected off of the wall panels so it is diffused inside the sound panels. Once the noise is eliminated, the problem goes away. Concrete and reflective sound walls merely reflect the noise back towards the direction it came from, often causing additional and unpredictable problems.